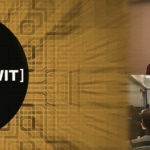 Each year Stony Brook University hosts a two-day interdisciplinary hackathon at the Center of Excellence in Wireless Information Technology (CEWIT). With a focus on industry-relevant challenges, Hack@CEWIT enables forward-thinking students from Long Island and its surrounding regions to design real-world solutions to industry challenges. This President’s Day weekend, over 150 college students gathered to tackle technical topics surrounding big data, machine learning, IoT, and robotics. The event included hands-on workshops and an industry mentor program, through which engineers, program managers, and drone pilots from ULC Robotics helped to guide the next generation of technology leaders toward the success of their projects. After a sleepless but productive 43 hours, the hackathon participants presented their final projects to a panel of judges from local businesses and associations. ULC Robotics was pleased to present the award for the Best Use of 3D Visualization/Simulation to the United Sensors of America team. For more information on Hack@CEWIT visit the event website. Each year Engineering News-Record highlights the most innovative influencers in the construction industry. 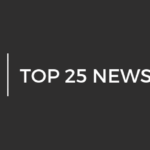 Today, ENR named ULC Robotics President and CEO Gregory Penza one of 2018’s Top 25 Newsmakers for his work with pipeline rehabilitation and the invention of the Cast Iron Joint Sealing Robot (CISBOT). ENR commended Penza for “finding his competitive advantage in construction robotics” and his ambition to revolutionize pipeline repair. Long-term client Kenneth Daly, Chief Operating Officer for U.S. Electricity Businesses at National Grid, endorsed the nomination, saying that Penza has “delivered industry-changing robotic solutions to the complex operations and engineering challenges” faced by the utility. 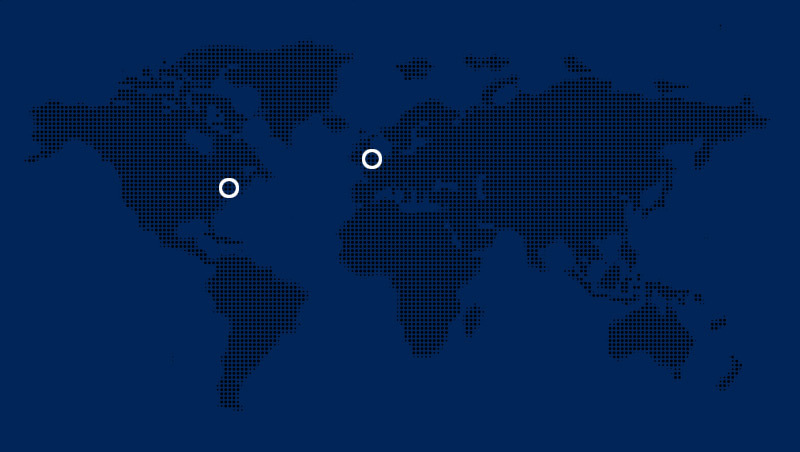 ULC Robotics is excited to announce that we have moved our UK operations to a new location. We are now stationed next to Heathrow Airport, in the heart of Trading Estate, one of Heathrow’s leading industrial areas. 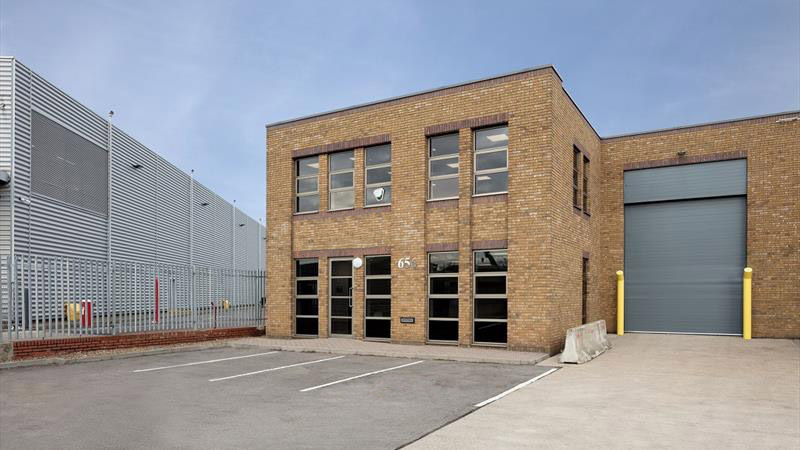 Located at Unit 656, River Gardens, North Feltham Trading Estate, TW14 0RD, our spacious multi-purpose industrial unit offers excellent facilities that will allow us to conduct large operational workshops, host meetings with our clients, and serve as a base for our growing UK operations. The past five years have seen much growth and success for our UK branch, and we view the location change as the start of another chapter in our history. We couldn’t be more excited about the move. Thank you to our clients, customers, business associates, sub-contractors, and friends for all of your support. We would like to give a special thanks to John Eastwood, Flow Stop Services and his team for helping us establish ourselves in the UK by providing a secure facility from which to build our business. 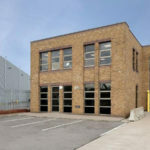 We welcome you to contact us and schedule a visit to our new office. ULC Robotics, leading Robotics-as-a-Service (RaaS) solutions provider and developer for the energy industry, has been shortlisted for The Energy Awards in the Innovation of the Year: Technology – Physical category. The Energy Awards is a prestigious event that recognizes the outstanding companies working to advance the energy industry. With the number of applications nearly doubled this year, ULC was shortlisted for their work with Cadent and tRIIO on the innovative M1 Live Gas Main Inspection Crawler System. The M1 was developed to expand internal inspection capabilities in large diameter gas mains and enable inspection in mains not previously accessible by existing technologies. It was successfully trialed within the London Medium Pressure network in January 2018. The winners of The Energy Awards will be announced on December 5th during a ceremony held at the Hilton on Park Lane in London. For more information or to see the entire shortlist visit the awards website. CISBOT is now operating beneath The Strand, one of Central London’s busiest thoroughfares, to remediate a critical segment of the gas distribution network. In conjunction with UK gas distribution network Cadent, CISBOT technology is being deployed along a majority of the 850m section of the A4 within the City of Westminster to minimize impacts on the public, transportation, and environment. According to an article published in The Telegraph, there are 300,000 holes are dug every year in London for roadworks, resulting in 36% of the city’s traffic delays, costing businesses £1 billion, and causing considerable disruption to the public. By utilizing CISBOT Cadent is eliminating the need for traditional large-scale excavation and disruption of gas services while minimizing interference to the area’s traffic and pedestrian flow. The first project site is located just outside of the Charing Cross railway station where ULC’s advanced robotic system will work to extend the life of Cadent’s vital distribution system. The entire project is expected to continue through this summer. With over 200,000 miles of hazardous liquid pipeline spanning the US, the need to ensure the integrity of these pipelines is tremendous. Pipeline operators are under pressure to perform meticulous in-line inspections and accurately collect data in order to maintain the security of crude oil, refined petroleum, and biofuel pipelines. Using funding from the Department of Transportation’s (DOT) Small Business Innovation Research (SBIR) program, ULC will study the feasibility of using guided wave Electromagnetic Acoustic Transducer (EMAT) technology to create an enhanced dual-purpose in-line inspection tool. Able to integrate with existing internal cleaning systems, the tool will streamline inspection and maintenance operations into a single process. EMAT technology uses a permanent magnet and electric coil to generate ultrasonic waves, allowing it to measure wall thickness and detect, assess, and characterize defects or material properties. Over the last five years, ULC has made significant advancements in the research, development, and commercialization of this technology. Most notable is the integration of wall thickness measurement EMAT technology into ULC’s CIRRIS XI™, an in-line inspection robot for cast iron natural gas distribution mains. Since then, ULC has continued to develop expertise in guided wave EMAT for the inspection of steel and cast iron pipelines to identify corrosion and cracks. Through further research, design, and testing ULC will work to maximize guided wave EMAT sensor sensitivity to defects and produce live inspection data for immediate remedial action. The resulting dual-purpose tool will enter the pipeline through existing pig traps to simultaneously perform cleaning operations while inspecting for defects such as wall loss and cracks, presenting a low-cost, lightweight solution. By integrating such an inspection tool with an existing cleaning system both processes will be completed in a single pass, reducing operating costs while performing critical maintenance and providing unparalleled insight into asset health. The tool will ultimately enable pipeline operators to ensure the safety and integrity of their mains and prevent potential hazardous leaks and spills. 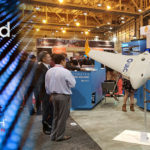 ULC Robotics has taken another step towards the expansion of their CISBOT operations with the award of the largest robotics-as-a-service (RaaS) contracts in the gas distribution utility market. In line with efforts encouraged by Ofgem’s RIIO-GD1 regulation, gas distribution network SGN will employ ULC’s CISBOT system to remediate 36km/22mi of natural gas mains across the south of England. ULC crews will work to extend the life of large diameter cast iron gas mains, ranging in diameter from 16” to 36”. A majority of the repairs will occur in London, a challenging location due to its dense population and high traffic. Other locations spanning SGN’s southern network include Brighton, Portsmouth, Southampton, and Salisbury. In addition to the multiple robots and crews fielded by ULC Robotics, the multi-year contract provides for services that encompass excavation, site preparation, fitting installation, valve installation, and more through subcontractors. This turn-key approach streamlines the entire operation to better meet production levels. Robotics Business Review (RBR) has named ULC Robotics as one of the most influential companies within the global robotics industry for the third year running. Each year RBR reviews a myriad of nominees, highlighting the fifty most visionary and innovative companies within the industry through the publication of the RBR50 list. Each company is recognized for their influence and potential within the industry, indicating the future of robotics as a whole. Chosen for its groundbreaking work conducted in the previous year, ULC’s revolutionary technologies continue to improve and advance both the energy utility and robotics industries in 2018. ULC Robotics is taking the first steps toward developing a robot that will permanently reside within high pressure gas transmission mains so that it can be called up to instantaneously repair emergency leaks and perform routine inspection and maintenance activities. With funding from the Department of Energy’s (DOE) Small Business Innovation Research program, ULC will evaluate the feasibility of developing this smart pipeline inspection robotic system, as well as its integration with existing supervisory control and data acquisition (SCADA) networks. Once mobilized by the SCADA operator the robot would conduct rapid repairs within live conditions, as well as execute inspections for the prevention of leaks. 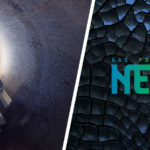 The Institution of Gas Engineers and Managers (IGEM) and Energy & Utilities Alliance (EUA) recognized the achievements of ULC Robotics, gas network Cadent, and utility partner tRIIO at this year’s Gas Industry Awards. 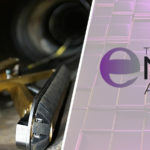 The three companies received the Innovation Product Award for their collaboration on the research, development, and deployment of the M1 Live Mains Inspection Crawler. With funding by Transport for London, ULC worked with Cadent and tRIIO to develop the M1 crawler to traverse and map the network’s internal seals and features that had historically prevented the passage of inspection robots.